During my broadcast of my weekly radio show The Reading Circle with Marc Medley heard live on WP88.7 FM and www.gobrave.org, I wore my hoodie for the entire three hours of the program. This was different for me because I normally do not wear the hood on my hoodie unless I am outside and it is a cold winter day. In fact the children in the school that I am principal of are prohibited from wearing their hoods on their heads while in the building during school hours. However, this morning I wore my hoodie for the entire three hours in the hot radio studio as a symbol and as a part of a protest regarding the murder of 17 year old Trayvon Martin. This was my miniscule contribution to a protest effort that has been taking place all across the country now known as “hoodie” marches, designed to raise awareness of the murder of Trayvon Martin by George Zimmerman, a volunteer community neighborhood watch person in a gated community in Sanford, Florida. Some would say why did you wear your hoodie during your radio show? 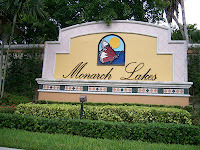 I wore my hoodie because the same fate that Trayvon met could have been me last August as I vacationed in Monarch Lakes visiting with my sister-in-law in a gated community in Miramar, Florida outside of Miami. If I were to play the same scenario out, the same tragedy could have occurred. 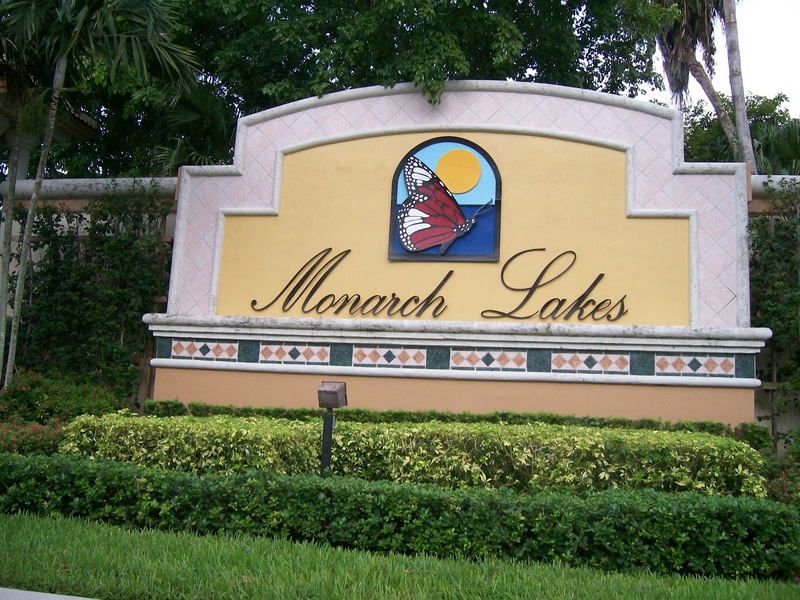 Monarch Lakes could've had a maniac volunteer community neighborhood watch person that would not have known me from Adam's housecat and might have taken the same action as I am an African-American male not known to the members who live in the community. I wore my hoodie this morning because Trayvon’s face reminds me of my 17-year-old daughter Niara. I wore my hoodie this morning because George Zimmerman has yet to be charged with anything even after being told to stand down by police and not follow Trayvon Martin. Regardless of the police officer's order, Mr. Zimmerman proceeded to follow Trayvon anyway and we all know the result of this action. If you listen to the 911 tapes, you can hear the mindset of Mr. Zimmerman as he says “These assholes always get away.” He had already determined in his mind that this one would not get away. A clear illustration of the mindset of Mr. Zimmerman can be read in Malcolm Gladwell's book BLINK in Chapter Six where he describes the mindset of the police officers in the murder of Amadou Diallo, another unarmed black man. While this may not necessarily be about race in and of itself, certainly race played a part. In Mr. Zimmerman's mind he saw a black teen wearing a hoodie and automatically assumed that this child was a troublemaker. It was this assumption that caused him to react in the manner that he did leaving Trayvon Martin dead. Not only was my radio show web streamed around the world on http://www.gobrave.org/, it was also broadcasted live on my ustream channel The Critical Thinker for everyone to see that I was indeed wearing my hoodie as I was broadcasting from the radio booth at WP 88.7 FM. We must continue to do everything in our power to ensure that another child regardless of race, gender, sexuality, or religion is not made a victim because of it. How many more Trayvon Martin’s are we going to have to suffer through? Lastly, I wore my hoodie because I am Trayvon Martin. May God bless Trayvon’s family through this difficult time and may Trayvon Martin rest in peace. As the scene unfolded, I thought about how Jerry compared books to trophies and it occurred to me that Seinfeld’s comparison was not that far off. As an avid and voracious reader, I have a library of books that I have owned for more than thirty years (I’ve now begun downloading on Kindle too). So I looked up the word trophy at dictionary.com and the second definition actually supported Seinfeld’s comparison. The number two definition read as follows: anything serving as a token or evidence of victory, valor, skill, etc. As my critically thinking mind thought about that definition, it became clear to me that Seinfeld’s comedic view of people keeping books in their houses like they are trophies is indeed correct. For each book that is read from prologue to epilogue or beginning to end or table of contents to glossary is indeed a victory won with the skill of reading and every facet of it (comprehension, decoding, critically thinking, paraphrasing, predicting, accessing prior knowledge, etc. etc. etc.). The completed book on one’s shelf is truly a token of victory and is indeed a trophy. I truly hope people view their books as trophies because just as athletic trophies are valued and worshipped, so ought the number of books that one has read over the course of time be valued, acknowledged and shown off as well. We are oh so proud when we have earned a trophy for being the best (I still have my little league baseball trophy from 1975), so why should we not be proud to show our trophies of knowledge? Seinfeld gave me something to critically think about and I hope he has given you something to think about to. Get your number of trophies up. Oh and while I have you here, one way to get your number of trophies (books) up is to listen to me every Saturday morning at 6:00 a.m. EST on http://www.gobrave.org/. and WP88.7 FM during my show The Reading Circle with Marc Medley (shameless plug.....hey it's my blog). I host a radio show where I interview authors from around the world giving them the opportunity to showcase their work and bring to you some extremely interesting reading. I have many listeners who ultimately purchased and read the books by the authors they have heard on my show. As always, I welcome your commentary in the comment section of the blog and remember that old adage "Readers are Leaders." According to the Centers for Disease Control and Prevention (CDC), cardiovascular disease is the leading cause of death in the United States; one in every three deaths is from heart disease and stroke, equal to 2,200 deaths per day. While there is no doubt that I respect and agree with the findings of the CDC, for the sake of this Critical Thinker Blog Post I would like to look a little deeper and suggest a possible root cause for so much cardiovascular and many other life threatening and life taking diseases; and that is low self-esteem. So what is this thing or concept called “self-esteem?” According to Merriam-Webster.com the definition of self-esteem is a confidence and satisfaction in oneself, in other words it’s being happy with who and what you are. There are far too many of us who suffer from what I believe is the leading cause of not just physical death but death in so many other important areas of life such as our marriages, careers, relationships, education, etc. It is my hypothesis that it is this disease of low self esteem that contributes greatly to diseases such as cardiovascular disease, addiction, and so many other "isms" and diseases that cause premature death. Whitney Houston was not by herself. I have seen far too many people who have all of the trappings of what the world would call having it "all" (attractive faces and bodies, money, houses, cars, travel, talent, etc. etc.) and still not have as the Merriam-Webster definition describes the confidence and satisfaction in oneself. It is mind boggling and perplexing that someone who has what appears to be it “all” could still not be happy with who they are. As that old adage goes, "looks can be deceiving." The same questions that Mr. Costner shared that tormented Whitney on a continuous basis go through the minds of countless individuals on a minutely basis (Am I good enough? Am I pretty enough? Will they like me?) causing too many to lead self destructive lives ultimately leading to the death of careers, marriages, relationships, and even life itself. While the CDC may have its research on the leading cause of death in the United States, I believe we have overlooked a root cause of so many of our diseases. There is no doubt that diet, and heredity and many other factors play a part in the diseases that we contract, but I also believe that our self-esteem is just as large a factor as our diets and our heredity. We must find a way to be satisfied with what and who God made us to be. 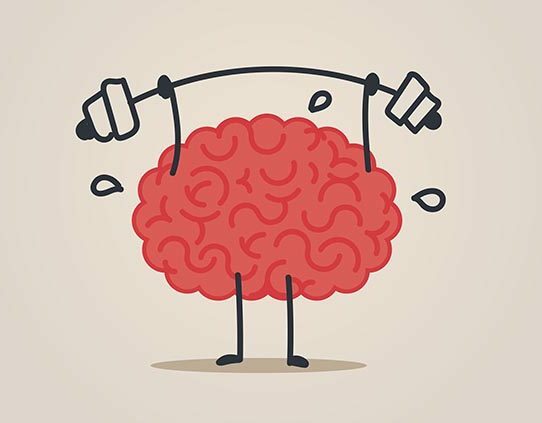 We ought to always seek ways to improve ourselves knowing that this is different from the little voice in our heads constantly telling us that we are not good enough. We ought to always be seeking to make what is good even better but not from the standpoint of putting ourselves down or looking down upon ourselves. 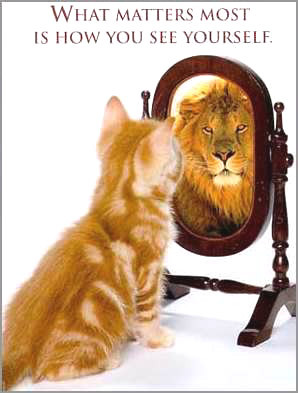 We must always see ourselves as already good enough. We must also be mindful that having a good or high self-esteem is not the same thing as being cocky, arrogant, or stuck up. It truly is about having that confidence and satisfaction with who and what you are and not worrying about anyone else's opinion of who you know you are. In the Bible in Psalm 139:14 it says “I will praise thee; for I am fearfully and wonderfully made: marvelous are thy works; and that my soul knoweth right well.” I would encourage all of us to meditate on that verse daily to combat the ills of low self-esteem for we are indeed fearfully and wonderfully made. Something to critically think about and I welcome your commentary in the comment section of the blog.